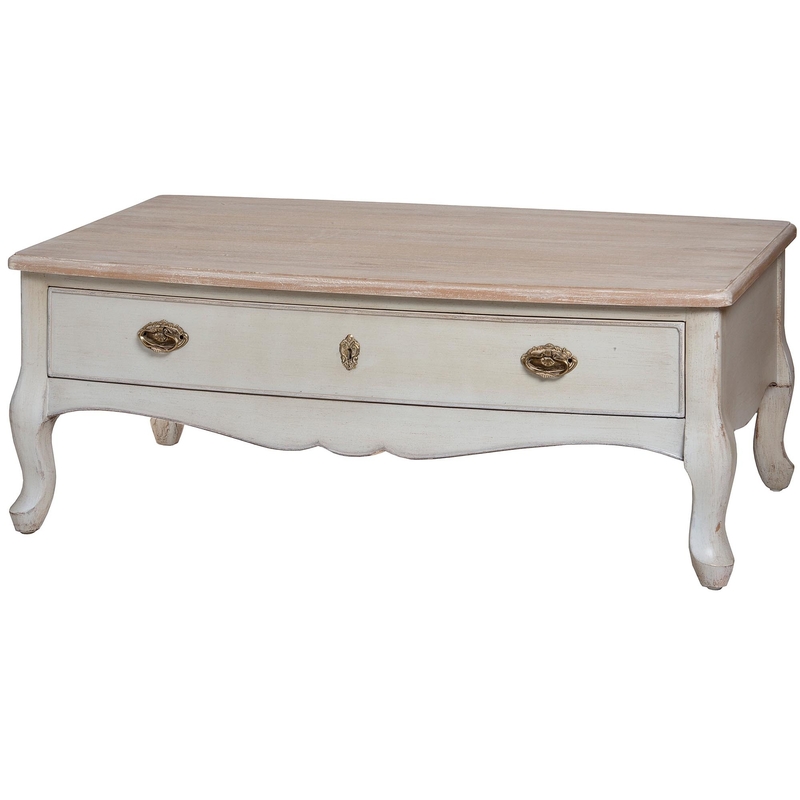 From the distinctive and fabulous Louis collection comes this beautiful two drawer shabby chic coffee table. Crafted from natural wood and finished in a stunning antique white, this piece is sure to impress across generations. Easily store away your household bits and bobs instead of having them laying around the home within this coffee table thanks to its two drawer design.